For the most part, Bryan Singer didn’t disappoint me! ‘X-Men: Days of Future Past‘ opens in the future, where mutants are hunted and feared. Earth looks devastated, and the X-men are outlawed and are being exterminated. 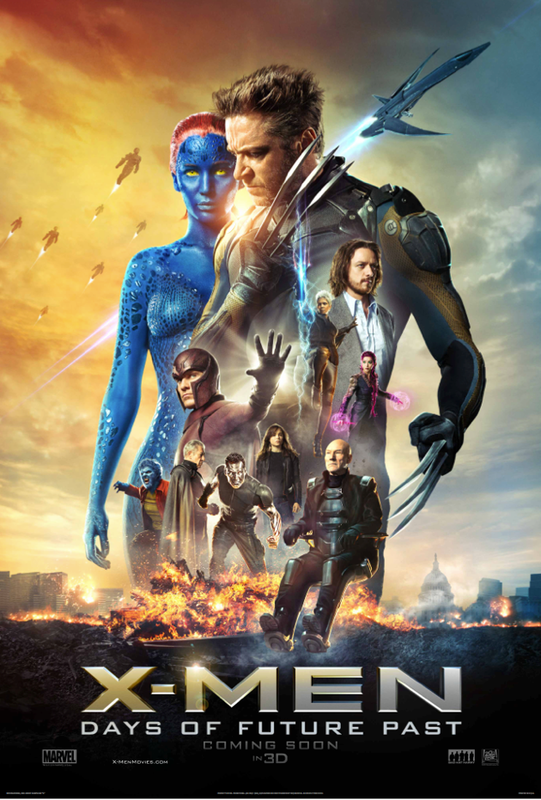 In the opening scene, we see Warpath (Booboo Stewart), Colossus (Daniel Cudmore), Kitty Pryde (Ellen Page), Iceman/Bobby Drake (Shawn Ashmore), Magneto (Ian McKellen), Storm (Halle Berry), Sunspot (Adam Canto), Blink (Bingbing Fan), Bishop (Omar Sy), Wolverine (Hugh Jackman) and Professor X (Patrick Stewart). The Sentinels, a mutant hunting (and morphing) machine has made all mutants extinct. We learn this because of Mystique’s (Jennifer Lawrence) actions in assassinating Bolivar Trask (Peter Dinklage in a non Game of Thrones role here) in 1973. This action she caused, made this bleak outcome for the mutant’s future. It is also her capture and DNA that is used in giving the sentinels the ability to morph, making them able to adapt to any mutant and creating an indestructible foe that cannot be killed. 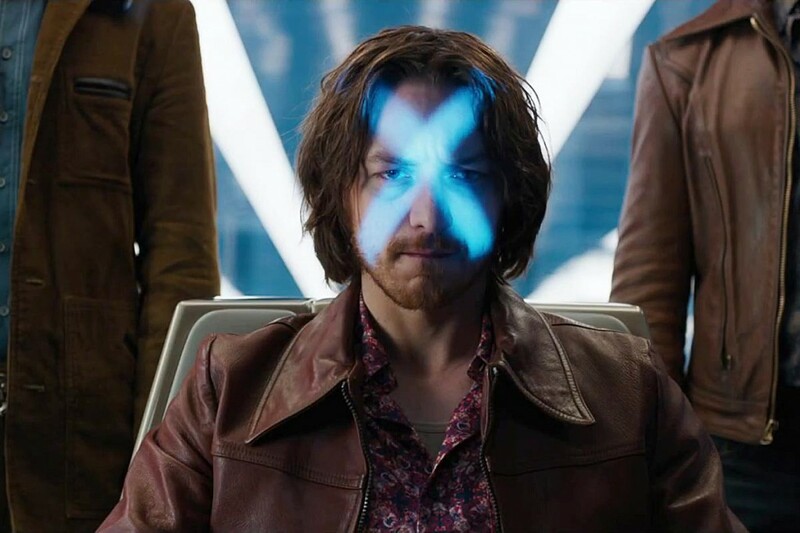 This is a bleak future and so they send Wolverine back in time to his younger self, so that he can convince Charles Xavier and Erik Lensherr to work together. He enlists the aid of Hank McCoy, (Nicholas Hoult) and Peter Maximoff (Evan Peters), and they are off to to correct the future. I don’t want to spoil too much, but the scene with Evan Peters as Quicksilver is pure beauty, and is easily my favorite in the film. As a 90’s X-Men fan, I was thrilled to see Blink brought to life, and to see her as lovely as I imagined her to be. There are some serious holes in the plot, as there always are with the X movies, and of course they involve with Magneto. I won’t say them here, as i don’t want to spoil too much, and well, they are kind of obvious. There are quite of few cameos in this movie, and if you are a fangirl like me, it was worth it to see. And, if you read enough of the 90’s X-Men and wait till the end of the credits, then you know what’s next and won’t be disappointed. I know I wasn’t. This Hellcat gives Days of Future Past four out of five stars. Hey, it’s the Wolverine! This entry was posted on Thursday, May 22nd, 2014 at 10:13 am	and is filed under Comics, Film, News. You can follow any responses to this entry through the RSS 2.0 feed. You can skip to the end and leave a response. Pinging is currently not allowed.